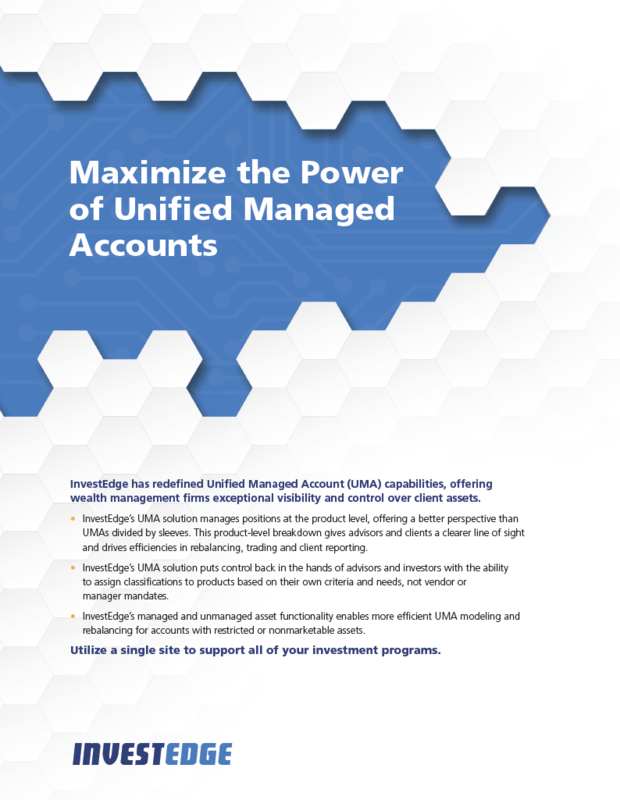 InvestEdge’s uniquely powerful unified managed accounts (UMA) provide investment firms with more flexibility, efficiency and control to accommodate the intricate needs of high-net-worth investors. 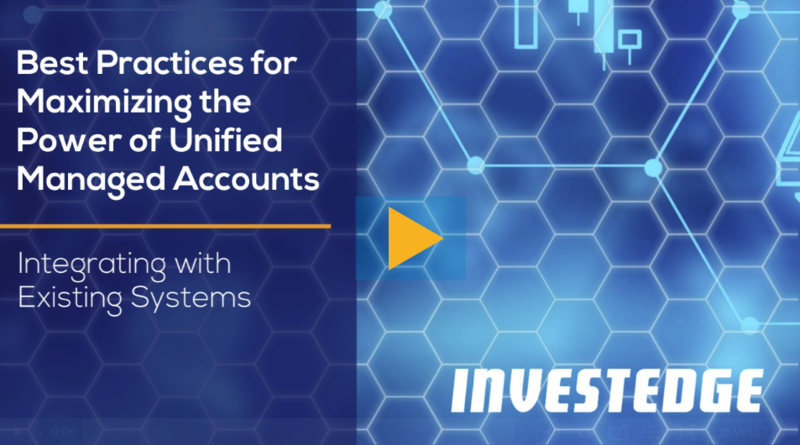 InvestEdge’s UMA solution doesn’t just unify accounts. It creates a single process for managing a client’s assets and expanding client relationships. Money managers glean unparalleled views into a client’s entire spectrum of holdings while integrating with InvestEdge’s industry-leading, comprehensive solution set. The InvestEdge UMA is based on a truly vehicle-agnostic investment approach. Investment vehicles are organized within a single account, regardless of manager, strategy or asset class while the firm maintains full control of the pool of approved investment products. The solution helps firms deliver investment products that can be implemented across large numbers of accounts and multiple business lines. The end result is a repeatable, scalable and truly customizable investment solution for all of your clients. 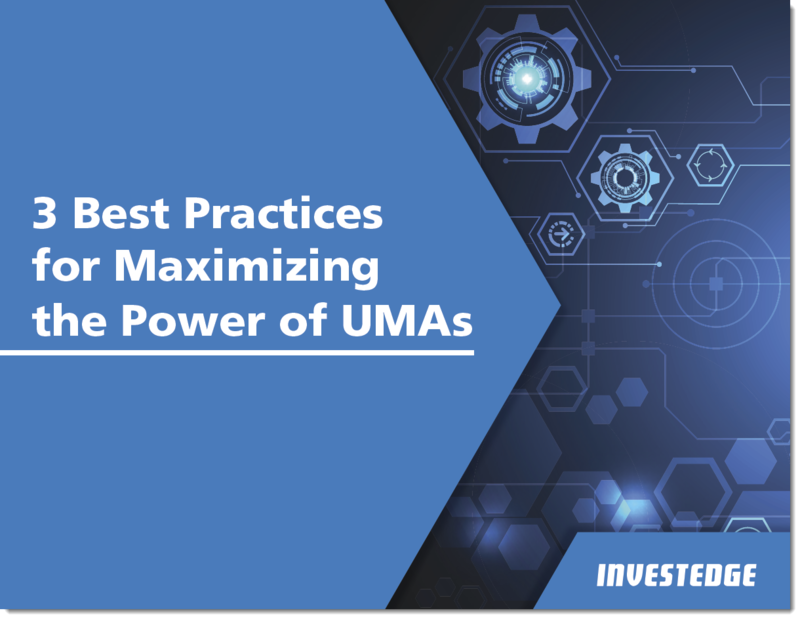 While typical UMAs organize accounts into sleeves, the InvestEdge UMA gets more granular, categorizing every investment vehicle as a first-tier product. This approach simplifies every stage of investment management, from managing and implementing clients’ asset allocation targets to preparing client presentations. 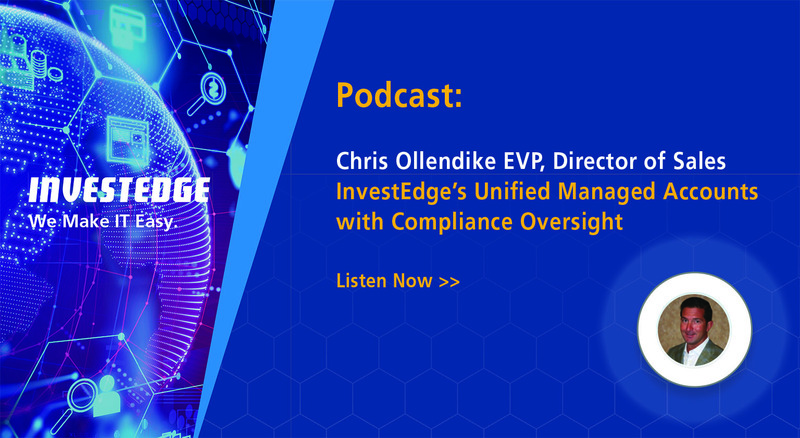 The InvestEdge UMA allows firms to assign specific asset classifications based on their own approach and client preferences. 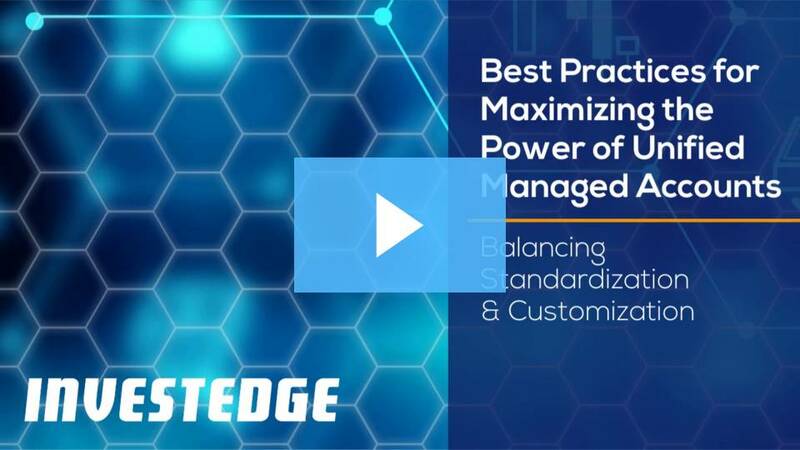 Firms utilizing InvestEdge UMAs can collapse multiple accounts down to a single account per client, improving cash management capabilities at the overall asset allocation level and the manager level while compressing trading workflows into hours. By combining various investing strategies and products under one custodial book of record, clients receive a more cost-effective option. Whether the cash is held as a strategic position or in transition can play a significant role in a manager’s performance. 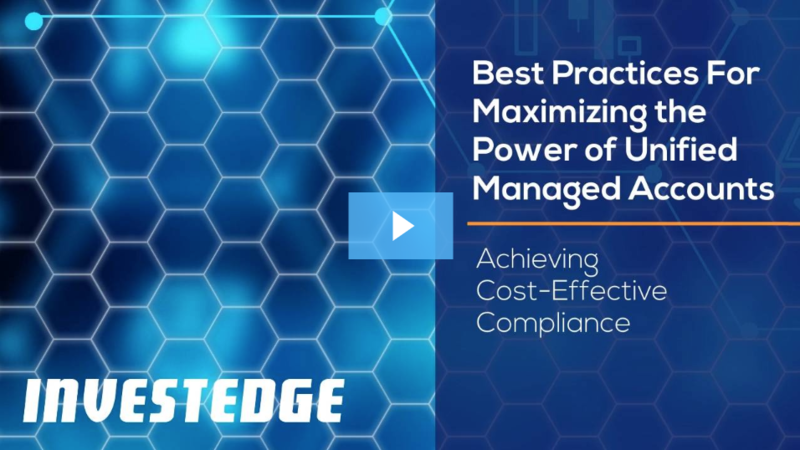 The InvestEdge UMA allows firms to efficiently shift between investment strategies while capturing the performance impact of cash held within a strategy. 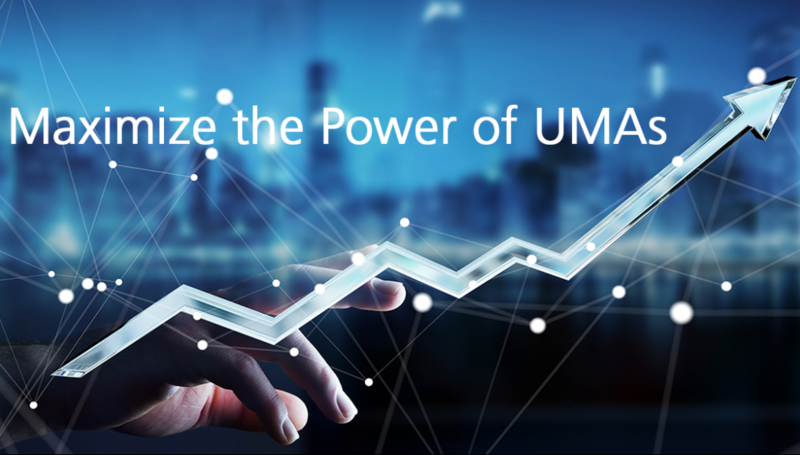 InvestEdge’s UMA also integrates seamlessly across all InvestEdge solutions. Leverage the InvestEdge Client Portal to mirror the product and asset classes defined for client reports, and unify data from multiple accounting and custody systems into a single site.